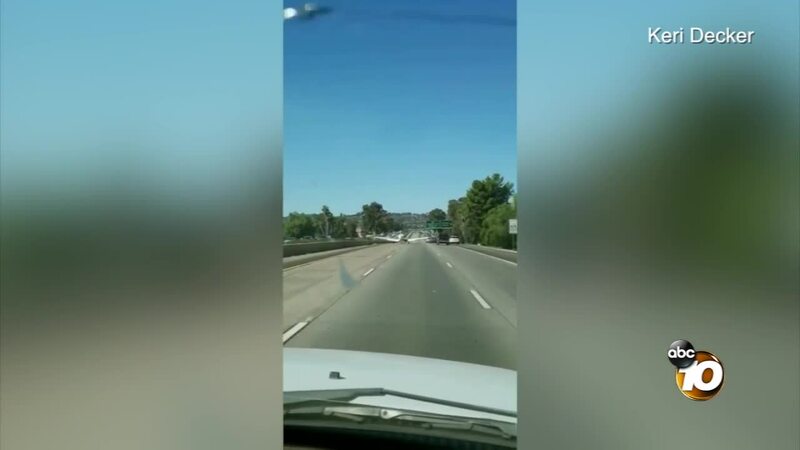 EL CAJON, Calif. - A plane made an emergency landing Friday on westbound Interstate 8, according to the California Highway Patrol. Both men were trying to land at Gillespie Field but were forced to touch down on the freeway. 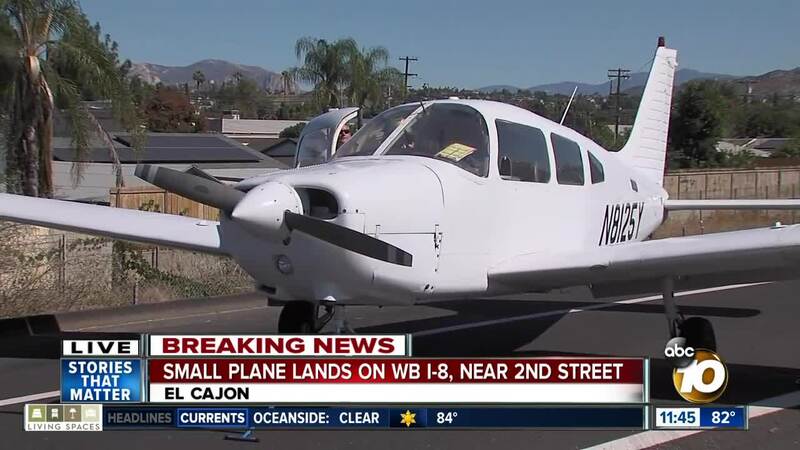 The instructor took over the controls and landed safely in lanes near Second Ave.
Officers shut down the Mollison Ave. off-ramp of westbound I-8 due to the plane emergency.